What are your expectations of the budget? When any government plans their budget proposal they first have to take expenditure into consideration – how expenses can be reduced, what expenses are priority and how the government will maintain the cash flow by earning the required funds without making it another burden to the common people. This is something we do in our own homes. Without following these basic principles, preparing a budget plan is a waste of money and time. We have all experienced the failure of budget proposals time and again. Budget proposals should be practical and effective to solve the financial issues of the country while also helping ease the burden cast on common people during the previous budget. I expect the government to spend more money resolving sanitation issues which frequently occur in urban council areas, and on basic requirements in rural areas such as drinking water, development of roads, and the like. Implementing expenditure policies for ministers and other top government officials will result in a reasonable reduction of their expenses such as cutting down foreign trips expenses, unlimited fuel allowance, communication expenses, rental expenses when they have their own homes in Colombo, reducing their office staff etc. Finally, it shouldn’t be like a diet plan for the common man but a balanced budget proposal for everybody, where everyone contributes without hindering the success of it. In spite of the many organisations – mostly governmental and some with public-private partnerships, numerous strategies, policy planning on overall economic concerns of the country and the deployment of a good deal of resources, time, effort, paperwork and expertise on same, may we ask where these are heading to? Many policies, budgets and development talks have come and gone over the decades. What we need is a continuous policy where incremental effects can be realized from the past year and planned onto the next year. However, such an ongoing budget process is rare. Rather, it is becoming somebody’s promotional budget to be popular with and renew the confidence of the people. It no longer serves the needs and aspirations of Sri Lanka and its people. Such budgets need to be abolished. A progressive budget is the need of the hour. Usually a budget is what we think of as an upward and downward slope, but the broad purpose of a budget is not to raise or lower the prices of goods. Even with the changes in tax policy in the budget, the prices of goods may move up and down. However, the broad objective of the budget is to plan the country’s long-term economic development. Therefore, a budget can be defined as a short-term (one-year) program in the long-term plan for the country’s economic development. In other words, a budget is the main document of a country that determines the orientation of the country’s future. Important decisions must also be taken on the issues of the country’s current economy as well as the long-term economic development of the budget. Hence, a budget is not a tax haven for people who reduce commodity prices or a salary increase for public servants. We also have to acknowledge that the budget needs to address long-term economic development and short-term people’s issues. People’s current needs have to be met before focussing on the future economic development. Therefore, a better living standard of high economic development should be the real objective of every budget. A matter of technicality vs practicality. It is what the budget policy making and implementation should be addressing. The way certain indirect taxes are imposed increases the prices of certain essential products and services. When fuel prices increase, the poor take a hit as a majority rely on kerosene and there is a hike in prices of food such as rice and curry meals, bakery products offered at average eateries or boutiques, which the common man patronises. Another is healthcare, when import taxes on medical equipment push the prices of medical and lab tests. Citizens already know that when a price hike is imposed the burden has to be borne by them and the traders, on the other hand, gain from it. But when an incentive is introduced or prices are reduced, the public is unlikely to experience the benefit. The watchdogs play the roles of silent angels and guardians to traders and businesses who take control and act as ‘price deciders’. The budget should not be the wound of the mendicant. The promises made in the last budget have not been implemented. Therefore, the expectations of the people in the future budget cannot be gauged. It is a treacherous betrayal if the practical clauses of the budget are given to the consumers or the public. Therefore, we cannot have positive expectations of the country’s economic situation with the current state of the budget. We hope, however, that it will be a relief. We are confident that we will be able to implement a budget that protects the consumer. Similarly, if the prices of essential commodities are reduced, the deduction should not be limited to the word and the prices of goods should be reduced to the practitioners because this budget does not deprive our country’s people of food. A program has to be implemented to achieve the objectives of the budget. This budget should not be limited to the numbers but should be presented practically to the masses, and we hope it will. The reasonableness of the last revision to the PAYE system, which is applicable to the pay of private sector employees, is still being reasoned out. According to the employees, the government has increased the tax in a manner that a larger slice of tax is deducted from their monthly salary. In this revision, higher the grade of an employee, the more negligible the impact of incremental salary will be. A major portion of the country’s economy is contributed through the high productivity of the private sector and its employees, in comparison to the employees in the government sector. On one hand, it cannot be reasoned out as to why the government is harshly taxing those who pay taxes. On the other hand, the government is unable to seize the tax evaders under the net and therefore is kind to a large number of tax avoiders. Is the government aware and ready to admit the above scenario? If so, is there an appropriate PAYE tax revision on the cards? Perhaps the private sector PAYE tax payers are guilty until they are proven innocent. The contribution for improving the capacity and standards of the local small and medium enterprises (SMEs) is a concern of priority. In any country, the small and medium players form a greater part of the economy, also in terms of indirect and self-employment throughout the country. Therefore, if the government is addressing this segment effectively, endeavouring to enhance its productivity, then it is already providing solutions to most of the socio-economic issues of the country. Therefore, what is needed is an integrated approach and guidance for maintaining standards and securing markets where the entire benefits would be much felt and realised. 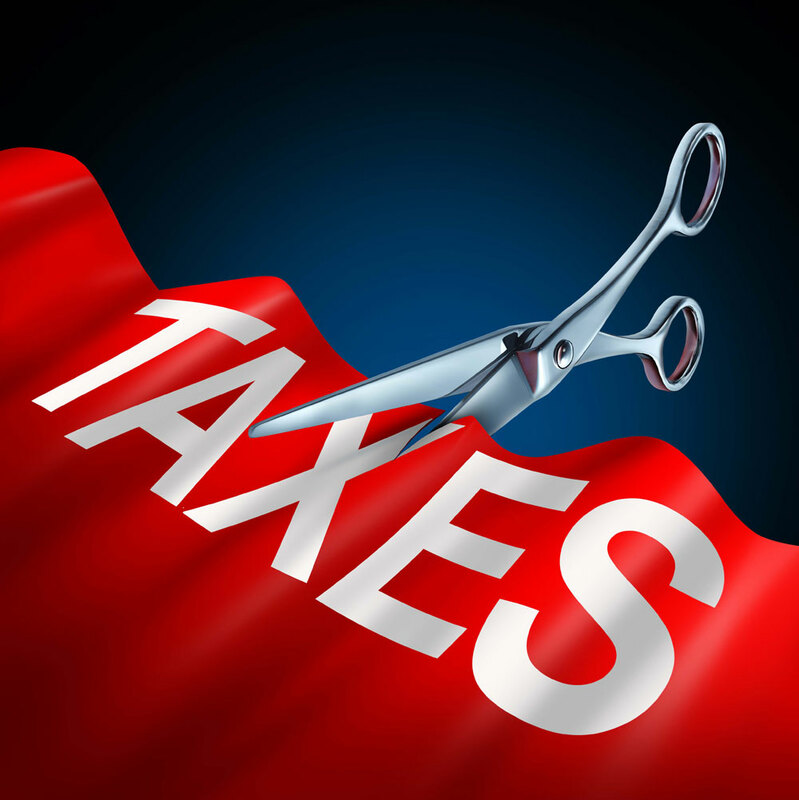 Each year, tax incentives and tax reliefs are being provided to many industries. What is important is that such relief be provided to the sectors in which most of the SMEs are in, such as handloom, spices and small-scale suppliers to exports etc. Many such players complain that the cost and hassle to contain certifications block them from gaining a good marketplace. Thus, the entire picture has to be considered when designing the budget rather than merely providing incentives that will lead to no path. All segments of society will have expectations for the 2019 budget to bring the much needed economic stability and to control the high cost of living. Unlike in other countries, Sri Lankans expend a higher percentage of their monthly income for food. Therefore, attention should be focussed on controlling the prices of the basket of essential commodities. The fuel pricing formula introduced by the finance minister caused an adverse impact on the entire economy. I trust the government will take serious note of this fact. Sri Lanka being an agriculture-based economy, funds should also be allocated for the development of agriculture, irrigation channels, farming and animal husbandry, and the fishing sector, which will create many income-generating sources to the people. Concessions should also be offered to the apparel industry which again creates many job opportunities and is one of the main contributors to income from exports. Lastly, it is important for the government to implement a permanent long-term education and economic policy, to take Sri Lanka to the next level. It is expected that the budget be fair with regards to food expenses – which is the most crucial. Food is the basic need that tops the list for all of us. Yet, the cost of living is such that our food expenses absorb a big share of the total living expenditure. Even for a household that does not buy luxury food – such as imported food, the current price levels are too high. People cannot tighten their belts furthermore. Reports indicate that the drop in nutrition levels are not just among the poor but also in people belonging to the middle income thresholds. Undernourishment and deteriorating health is becoming a common phenomenon, especially for a country like Sri Lanka with the largest ageing population. Over to you policy makers, kindly request for a fair consideration.